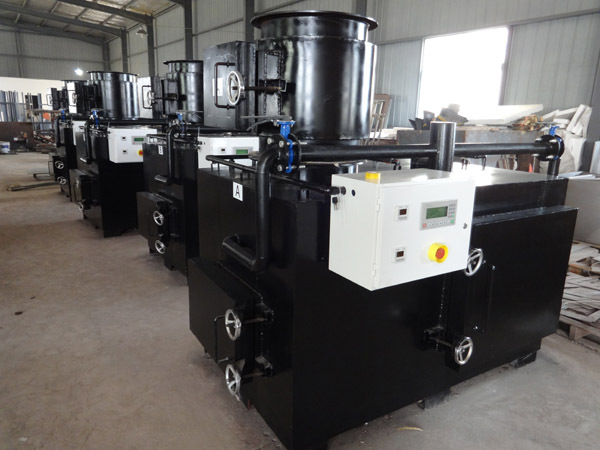 Considering Environmental Protection requirements and rules, almost all incinerator have secondary combustion chamber (after-burn, post-combustion), even if third combustion chamber. 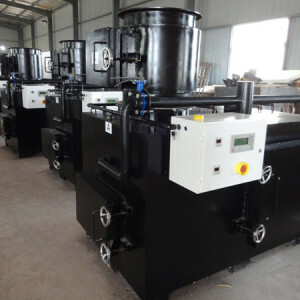 The secondary burner burn the Exhaust gas from primary combustion chamber, this technology make sure sufficient combustion, few black smoke and smell. The main body is one combustion chamber (at least), Refractory line or firebrick, Insulation materials and the outer plate. Ignition element is external oil or gas burner. 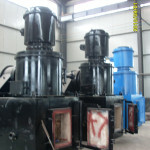 The burner can be running until waste burnout but for some waste like plastic, paper (sometime, mix coal with waste before feeding), they can combustion itself after Ignition. 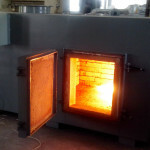 During combustion, burner has a fan itself for Oxygen supply and also protect burner avoid heat damage from combustion chamber. And, there a external fan blow air into combustion chamber. 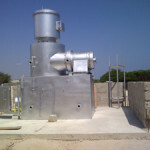 The Exhaust gas blow out after combustion.